SL Go has officially gone. The service ceased functioning on Friday, May 1st, after some considerable speculation on exactly when the service would stop. As most, if not all, SL Go users are aware, notice that the service – along with OnLive’s other cloud services – would be coming to an end was given early in April, after OnLive decided to sell its portfolio of patents to Sony Computer Entertainment America. Way this came about is explained in a blog post from OnLive’s main investor (and former Chairman), Gary Lauder, and I also covered the reasons in a blog post of my own. While it has originally be thought that SL Go would be popular as a means of access Second Life from tablets and while on the move in the physical world, it actually turned out that the service gained significant traction among those users accessing Second Life (and OpenSim, with the arrival of Firestorm as a supported viewer within SL Go), from low specification computers and laptop, as it enabled people to enjoy the full graphical richness of Second Life in a manner that would otherwise be beyond the capabilities of their hardware, and with few significant issues. So what now for those people? 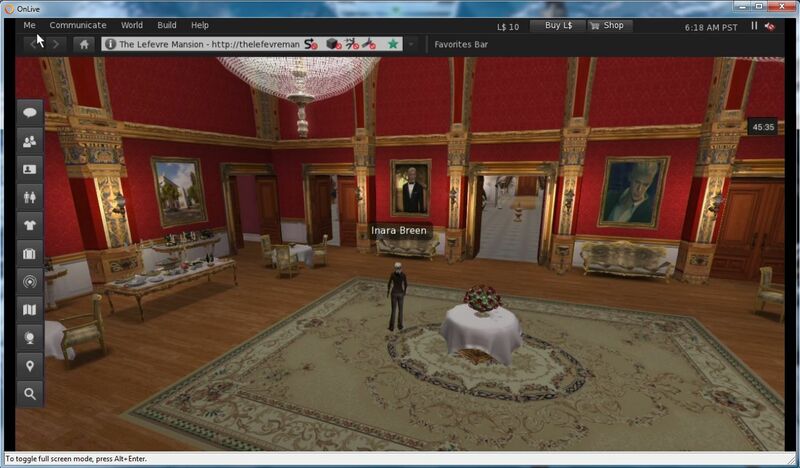 At the moment, the most likely alternative on the horizon is Bright Canopy, which will allow users to access Second Life and OpenSim through a conventional web browser. Again, as many people who have used SL Go know, Bright Canopy is currently undergoing beta testing, and it is hoped that a broader, invitation-only pre-launch testing phases will be starting soon, with a formal launch to follow thereafter. Like SL Go from OnLive, it is important to recognise that Bright Canopy is not endorsed by Linden Lab, but is effectively a third-party viewer service. As it is also being streamed (via Amazon G2 servers initially), there will obviously be a cost involved in using it, and prices have yet to be confirmed. Also, the service is likely to take time to grow – initially, it will be run using Amazon’s servers in the USA, although the plan is to leverage other data centres as time progresses (Bright Canopy is facilitated by Frame, who already use Amazon’s data centres on both the west and east coasts of the USA, plus Ireland, Australia, Singapore and Japan). Those interested in learning more about Bright Canopy can sign-up for news on the official launch via the website, and and learn more about the service via the Bright Canopy blog. In the meantime, and once again – as an SL go user myself, particularly when my main PC was in hospital for an extended period earlier this year, my thanks once again to Dennis, Jeff, Shae, Jersey, Robby and everyone else at OnLive involved in SL Go – including Jane Anderson in the US and Mark Bevan here in the UK – for striving to make it an outstanding service. In the interests of disclosure, I am involved in providing support to Bright Canopy and in helping to administer the Bright Canopy blog. However, I am not officially involved in the management and operation of the company itself. Could the Lab use Amazon AppStream to “replace” SL Go? 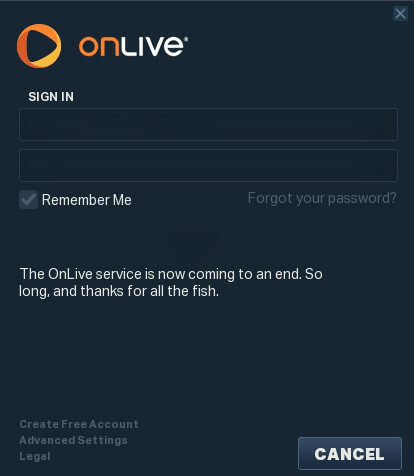 On Thursday, April 2nd, it was announced that SL Go, the streaming service for accessing SL provided by OnLive, is to shut-down on April 30th alongside OnLive’s other consumer services. The reason for this is because OnLive has sold the IP and patents associated with the services to Sony Computer Entertainment. Since the news broke, there have been numerous calls made for Sony to maintain SL Go as a service, including an on-line petition. However, as painful as it is, all such calls and petitions to Sony are unlikely to succeed, as I explained in a recent blog post. In that article, I also considered whether or not the Lab might invest time and effort in offering something that might fill the void. At the time, I thought the answer to this would most likely be “no”, as the Lab seem to have enough on its plate already with Second Life and its next generation platform. But the more I think about it, the more I feel that the Lab should endeavour to offer some kind of “SL Go replacement”. One potential means by which they might do so could be via Amazon AppStream. Obviously, there are issues involved in providing such a service beyond the physical provisioning. Anything which requires some form of external hosting is going to incur costs, for example. However, the flip side to this is it’s fair to say the SL Go has demonstrated that if users believe they are getting a beneficial service, they are willing to pay for it, providing the price is not prohibitively high. It might even help the Lab map and test options which might be beneficial for their nascent next generation platform. While developing such a service might not necessarily be easy, the Lab isn’t entirely without any experience in this area. As I and many others have pointed out, in 2010 they did experimenting with streaming the viewer, using the Japanese company Gaikai (coincidentally purchased by Sony Computer Entertainment in 2012), which delivered the viewer to web browsers, as shown in the video below. If there is anything remaining of this work at the Lab, it might possible to put it to work through something like Amazon AppStream. That said, there is a lot for the Lab to consider in attempting to fill the forthcoming void that will be left by SL Go. And while I would not be at all surprised to learn they are already doing so, they might still require some encouragement to take things beyond just considering options. Something which might encourage them, or at least demonstrate to them that there really could be a worthwhile demand for such a service, could be for users to politely speak up. One way to do this might be to add your name to the existing petition – I would hope someone at the Lab is keeping an eye on it. Another could well be to leave a positive and polite comment on the subject following this article, as (and all ego aside) I do know eyes at the Lab pass over this blog (just as they do many others). There is no guarantee that Lab will move to provide some kind of “SL Go replacement”, but on the other hand, as someone once said, nothing ventured, nothing gained. Since the announcement that OnLive’s gaming services are to shut down at the end of April, there has been understandable upset from within the SL community (and from some OpenSim users as well, given Firestorm on SL Go can be used to access OpenSim grids). Following the news, there were a plethora of requests made to Sony on social media that they continue to provision SL Go as a service and an on-line petition was started in the hope of achieving the same end. Unfortunately, these requests and the petition overlook one thing. As OnLive made clear in their statements on the future of their gaming services, and as I attempted to point to in my original article on this news, Sony didn’t actually acquire OnLive’s services. They took the opportunity to purchase the IP and 140 patents the company held relating to cloud gaming and other “assets” (which would most likely appear to be the additional 135 patents related to cloud gaming OnLive had pending), without actually buying OnLive’s services. So technically, there’s nothing for them to “continue” to offer SL Go users. What’s more, as Dennis Harper, the SL Go Product Manager at OnLive, made clear in these pages, taking the IP and patents is akin to taking the heart and lungs of OnLive’s services; without them, a service like SL Go cannot easily be continued by someone else. At least, not without money changing hands and someone having the infrastructure by which they can deliver the service. So, are Sony the Big Evil for doing this? did they gobble OnLive’s patents to stifle competition? Is this, as was dramatically stated in some quarters as the news broke, some kind of first shot in a forthcoming “VR battle” between corporations? Well …. No. The truth is that OnLive put itself on the market. Since 2012, the company has dramatically improved its technology and business models such that all of its 5 services are gross margin positive, ranging from 43% to 86% margin … The company also was able to achieve conversion rates from free trial to paid of between 64-78% for its services. Despite these positive metrics, the lifetime value (TLV) of a subscriber was still less than the cost to acquire subscribers (CPA), but they were converging. While we knew we could not get to break-even on our own, we believed that there were many large companies who would be able to get there. In other words, in order to get to a break-even point, OnLive’s management felt the company needed to be offered-up for acquisition, albeit hopefully as a going concern. Perhaps the first fully public hint that this was the case may have actually come in a blog post issued a couple of days ahead of Sony deal being announced. Of course, by the time the post appeared, the deal was undoubtedly cut and dried; nevertheless, The 2015 Case for Cloud Gaming and OnLive, could almost read as the company laying out its stall in order to attract a suitable investor / acquirer. 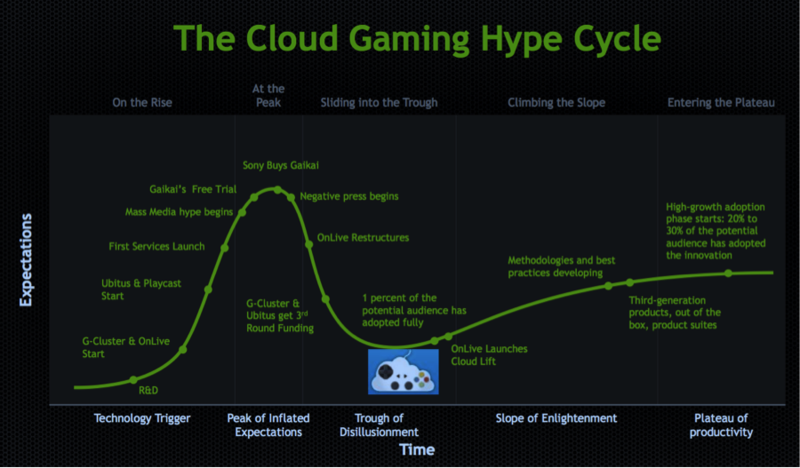 Unfortunately, despite all the positive indicators they could show, the Cloud Gaming hype cycle had bitten hard; no-one OnLive approached was willing to take them on as a going concern. Not even the fact that Nvidia had indicated the worst was behind the sector, and that OnLive itself was helping to push the technology up the Slope of Enlightenment, could encourage anyone to acquire the company outright. Thus the deal with Sony for the IP and patents sale was agreed. Why didn’t Sony acquire OnLive as a whole? Because they already have their own cloud gaming service, PlayStation Now, which came out of a 12-month beta programme in January 2015. The OnLive patents understandably offer more value when put to work within PlayStation Now than Sony would be liable to find in buying-out OnLive as a whole, so they didn’t bother. 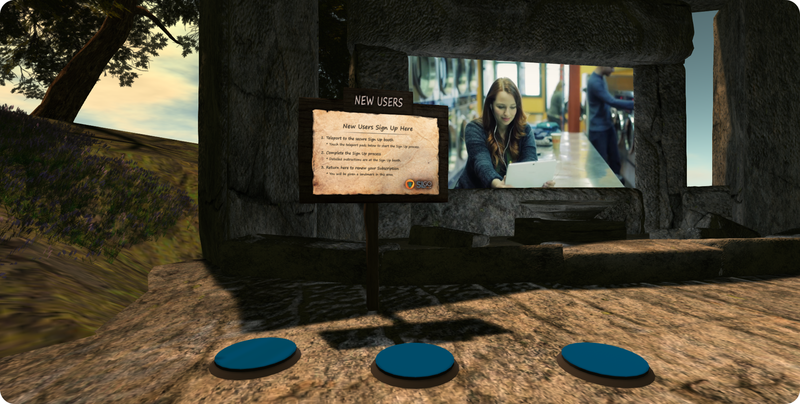 Interestingly, and entirely coincidentally, PlayStation Now has its own link to Second Life. It is built on the back of Gaikai, a Japanese streaming game provider acquired by Sony in 2012. Gaikai is the company Linden Lab worked with in an attempt to provide the means of streaming Second Life to web browser, a service which underwent a limited beta run in 2010, as the video below demonstrates. But to draw things to a close; however “unjust” it might appear, all of this means that SL Go cannot really be saved. The patents which enabled it to function are gone, and the services upon which it runs are closing down. The only real options are for someone else to come along and offer a similar service of their own, or for LL to work with a partner to provide such as services, as they once attempted with Gaikai. Both would seem unlikely; in the case of the former, SL perhaps represents too small a community of users to be worth catering for (and remember, SL Go came about in part as a result of rather unique circumstances). And while I tend to lean towards LL having an interest in cloud-based streaming, I don’t think that interest is with regards to Second Life, so I can’t see them getting directly involved in trying to provide a streaming solution for SL access. If nothing else, they’ve likely got enough on their plate already. SL Go was a great and brave experiment. It is a shame that its days are drawing to a close; but OnLive, through their services as a whole, have proven what might be achieved. In that respect, they are right when they proclaim that cloud gaming has a bright future. Update, Friday, April 3rd: An on-line petition has been started to try to persuade Sony to keep SL Go running as a service. In all honesty, the likelihood of this succeeding is less than slim, but if you would like to add your name to the petition, it can be found here. On Thursday, April 2nd, it was announced that the SL Go streaming service supplied by OnLive has been discontinued. The move is part of a wider shut-down of services that will take place on Thursday, April 30th, following a decision by the company to sell its portfolio of patents to Sony Computer Entertainment America. It is with great sadness we must announce that OnLive’s SL Go service will be coming to an end. Sony is acquiring important parts of OnLive, and their plans don’t include a continuation of the SL Go service. However, your service should continue uninterrupted until April 30, 2015. No further subscription fees will be charged, and you can continue to enjoy SL Go on all of your devices until that date. In our year of SL Go service, we have become quite close to the Second Life® community. Thanks to your patronage and constructive feedback, SL Go became one of OnLive’s most successful services. We know how important SL Go is for many of you, and it saddens us to bring the service to a close. We extend our heartfelt gratitude to you for being a part of “SL Go by OnLive” and wish you all the best. It breaks my heart to tell you that OnLive (OL2, Inc) has been acquired and will be closing down the game service, including SL Go. The official press release is attached. SL Go Island will continue to exist for a while, but we have removed the Pay with L$ feature. The OnLive and SL Go services will continue to operate in full capacity until April 30. All services will be free to anyone who has or creates an account. All prices for the service have been set to $0.00, including SL Go. On a personal note; you all have been so supportive of SL Go. You have my heartfelt thanks for all you have done. I have made some good friends in SL and it greatly saddens me that this project is ending. You all have accepted us n00bs into your community and mentored us on what Second Life really is. I have learned so much! My sincere thanks to all of you. This is and unfortunate end, not just for SL Go, but also for everyone at OnLive, a company which had come through a lot to provide a unique on-line gaming service and which has tried to enter a very unique environment with SL Go, and has done so by providing a very successful approach to providing access to Second Life (and OpenSim) to people while on the move through their delivery to Android and iPad devices, and to those using older, lower-specification hardware. I’ve been fortunate enough to be somewhat closely involved in SL Go, initially being offered the opportunity to help beta the product, and then in helping to report on and promote the service, and (hopefully) provide OnLive, through Dennis and his team with useful feedback, support and advice. 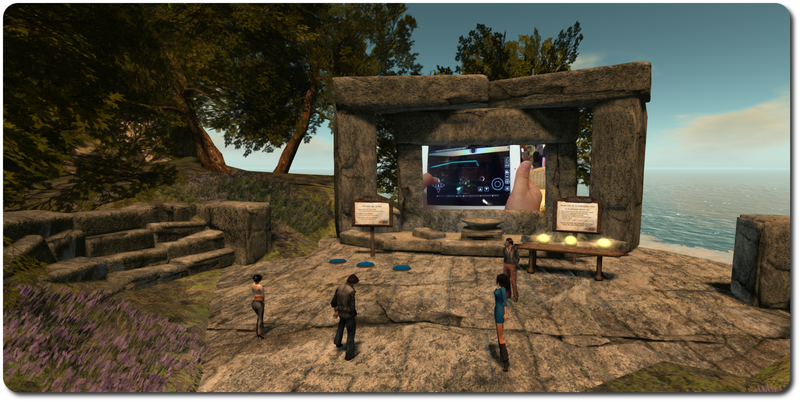 As such, I’d like to take this opportunity to offer Dennis, Jeff, Shae, Jersey, Robby and everyone else at OnLive involved in SL Go – including Jane Anderson in the US and Mark Bevan here in the UK, my thanks and my heartfelt best wishes for the future. I do, however hope that we’ll continue to able to see one another in-world, at the very least. Looking back, it seems OnLive was just a little bit too far ahead of the curve, both in terms of market readiness and the Internet infrastructure necessary for streaming games. As low-latency bandwidth continues to become cheaper and more accessible around the world, it seems likely someone will nail the correct combination of business model, game selection, and easy-to-use interface to become the industry’s answer to Netflix. That company will owe a debt to OnLive for getting the ball rolling and proving that streaming gaming was something that was worth trying in the first place. 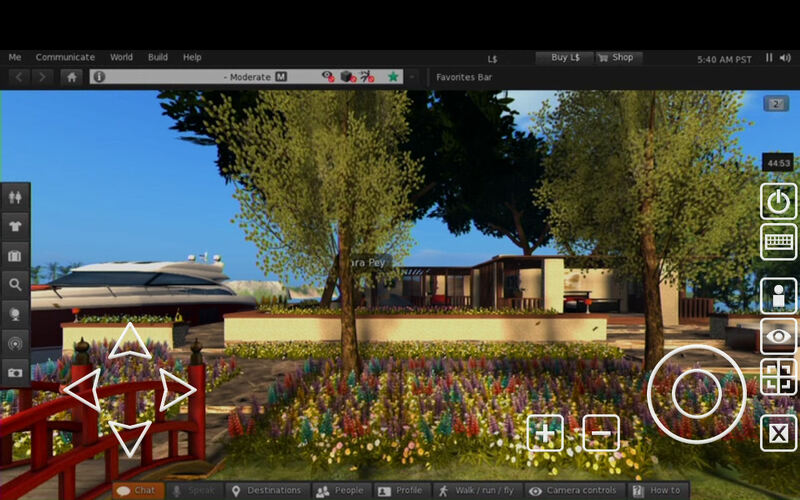 On Monday, March 23rd, OnLive, the company providing the SL Go service, announced the release of Firestorm Mobile for SL Go, bringing Second Life’s most-used viewer to Android devices and the iPad. However, due to technical constraints, the launch does see a change to the mobile side of the service, where OnLive is only able to provision one viewer to users. 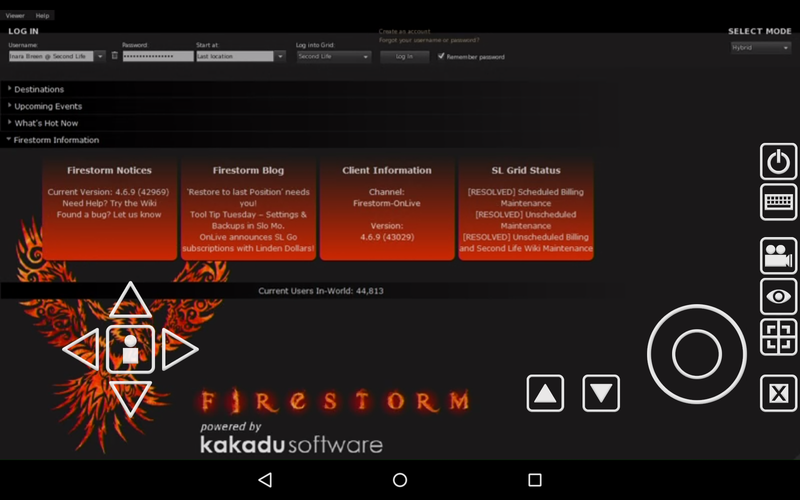 Given the huge popularity Firestorm for SL Go has already achieved since its launch on the SL Go service, it will, for a time, be the only viewer available to those using the service on Android devices and the iPad. 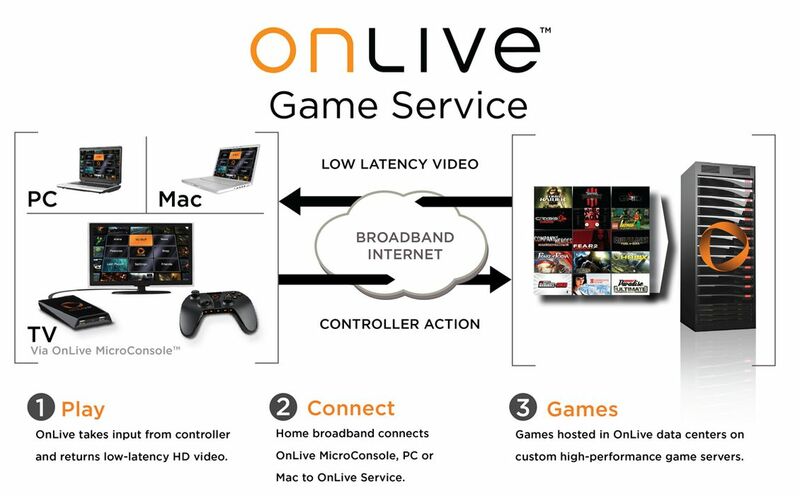 Hopefully, this will be a short-term situation, and OnLive will again be able to offer a choice of viewers to mobile users in the near future. This will not affect SL Go users on PCs and Mac computers, to whom OnLive will continue to offer a choice of the Lab’s Second Life viewer or Firestorm when running the SL Go service. If you are already using SL Go on either an Android device or an iPad, you do not need to do anything. As soon as you log-in to SL Go, Firestorm will launch automatically. By in-world payment (minimum of L$650 for one week) via the SL Go in-world payment service (no name and no credit card are required) – you can also read about this service here. OnLive, the company providing the SL Go service, announced on Monday, March 9th, that new users signing-up to the service can now pay for their use of the service with Linden dollars via a pilot scheme involving secure in-world payment booths offered through OnLive’s SL Go support island. You’ve probably heard of SL Go, the viewer that streams Second Life from the cloud in ultra-rich graphics, right to your tablet or low powered computer. You might have wanted to try it, but hate giving out your credit card info and personal information. Well, we now have a great solution for you! If you sign up for SL Go with a NEW USER account you can buy weekly subscriptions in-world using Linden Dollars (L$). There is a private sign up booth where you can create your free SL Go account, and then pay for subscriptions using L$. Each week is only L$650, and you can buy up to 4 weeks at a time. Also, you can return and renew or extend your subscription in-world at any time. Part of the problem here is that payment via L$ can only be made on a non-recurring basis; so there is a risk that people could end-up signing-up to use SL Go for a week, and then never renewing, which would not be particularly good for OnLive’s business model or for SL Go itself. Hence the pilot programme, which allows OnLive to test the water. However, if the pilot does prove successful – and Dennis and OnLive believe it will be – then paying for your subscription to SL Go via L$ will become a standard payment option provided by OnLive, and the company will implement a means by which existing SL Go users can transition to paying for their use of the service with Linden Dollars if they so wish. Another reason for not offering L$ payments immediately to existing users is that of technical complexity; there’s a lot involved in providing the means for users to switch over to a L$-based payment plan. As such, it makes sense for the company to trial the system with new users first. He continued, “And then what happens if a user decides payment via L$ isn’t for them, and they’re happier using a recurring subscription? How do we facilitate switching them back, again without impacting on their use of the service or making them sign-up all over again? So it’s much more complex, both technically and from a user-experience angle, to provide Linden Dollar payments to existing users. In the meantime, those wanting to give SL Go a try, but who might have fought shy of the idea due to the need to supply credit card and personal information can now do so by visiting the in-world sign-up and payment centre at SL Go Island. Signage at the centre will walk you through the sign-up process (which you only have to complete once; after that, you can renew your use of SL Go via the payment orbs located on the ground level of payment centre). Please note that, for obvious reasons – including the potential to game the system – users signing-up via the in-world payment method will not have the 7-day free trial period offered to them (it can, for example, be too easily gamed). If you haven’t tried SL Go yet, and would prefer to pay via subscription, you can still sign-up via the SL Go website, which is still offered with the free 7-day trial period. Existing users can obviously sign-up for a new OnLive account using the in-world method if they wish, but will then be paying for two OnLive accounts until such time as they cancel one or the other. Remember, SL Go isn’t for everyone. But if you have a need to access Second Life while on the go from either an iPad or Android tablet (using the SL viewer only at present), or if you have a low-end computer on which you’d like to run Second Life in all its full richness (using either the SL viewer or Firestorm), then SL Go may well be for you.